Ochsner’s Multi-Organ Transplant Institute offers a 2-year non-ACGME accredited program, which is approved by the American Society of Transplant Surgeons (ASTS). One fellow will be accepted to the program each year. Louisiana’s first liver transplant was performed at Ochsner in 1975. Since that time, more than 1500 adult and pediatric liver transplant operations have been performed. 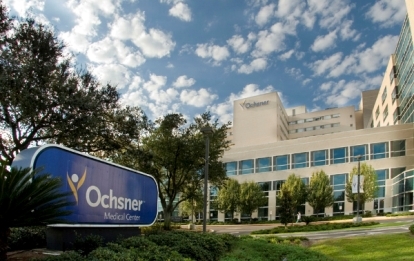 In 2013, Ochsner performed 175 liver transplants, making it the leader among 137 U.S. medical centers. More than 100 combined liver-kidney transplant cases have been completed since 1990. Since 1984, over 1500 kidney and kidney-pancreas transplants have been performed. In 2013 Ochsner also performed 138 kidney-pancreas transplants taking the lead among 116 U.S. medical centers. These numbers account for nearly 3 percent of the nation’s liver and kidney-pancreas transplants. This case mix provides the fellow with an excellent clinical experience in the complex management of this specialty. Fellows will also gain experience in pediatric liver and kidney transplantation and hepatobiliary surgery. Experience in care for high risk liver transplant patients. The program director is Dr. Ian Carmody. To apply to the Fellowship Program, please send the following to the address below. Upon completion of an application, Fellows will be selected for a site visit. Final rank list will be based on candidate interview and application. We participate in the ASTS-sponsored NRMP match and follow the dates as per the official schedule. Starting date can be flexible. We would be happy to host any interested candidates for an observership (ranging from 1 week to 1 month) prior to applying for the fellowship.